George Li will join From the Top Show 371 on April 13, 2019 in La Jolla, California, where he will perform the second movement of Chopin’s Piano Concerto No.1, Op.11 with the San Diego Youth Symphony Chamber Orchestra. 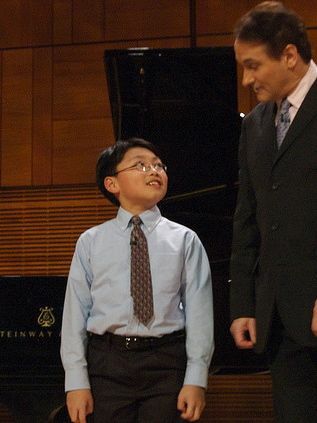 George Li first appeared on From the Top Show 144 in Boston, MA, recorded on May 24, 2006, at age 10. He returned as a guest artist on Show 313 in Boston, MA, recorded on October 4, 2015, following his silver medal win at the XV International Tchaikovsky competition. George also appeared on Season 1 of From the Top Live at Carnegie Hall on PBS. Watch here. Since winning the Silver Medal at the 2015 International Tchaikovsky Competition, pianist George Li has rapidly established a major international reputation and performs regularly with some of the world’s leading orchestras and conductors such as Gergiev, Dudamel, Honeck, Petrenko, Tilson Thomas, and Long Yu. Among Li’s many prizes, he was the recipient of the 2016 Avery Fisher Career Grant, a recipient of the 2012 Gilmore Young Artist Award, and the First Prize winner of the 2010 Young Concert Artists International Auditions. In 2018, Li graduated from the Harvard University / New England Conservatory joint program, where he studied with Wha Kyung Byun. On July 1, 2015, George Li won the silver medal at the International Tchaikovsky Competition, becoming the first American to place since 1990, and only one of three Americans to place 2nd. Listen to his incredible final round performance here. In 2016, George was awarded an Avery Fisher Career Grant! 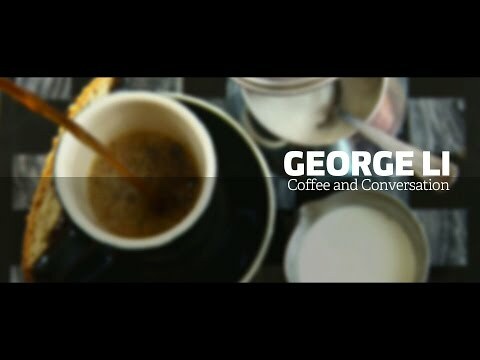 On April 2018, George was awarded the Louis Sudler Prize in the Arts. Alum George Li Gets Glowing Reviews! Alums George Li and Benjamin Beilman Win First Prize at the Young Concert Artists International Auditions!